It's a triple threat. It's Silicone Edge Graphics. It comes either frontlit or a backlit, and It's portable. Available in 3 different sizes, the system comes complete with graphics, hardware and a wheelie bag for easy transport. Frontlit, backlit, long term, medium term or media grade. White keder, black keder, clear coat, anti-graffiti. Customise your size and add your sail track. Check out our new range of WZ freestanding Feathers, Teardrops and Ingots. Printed locally for fast turnaround, quality you can trust and competitively priced. 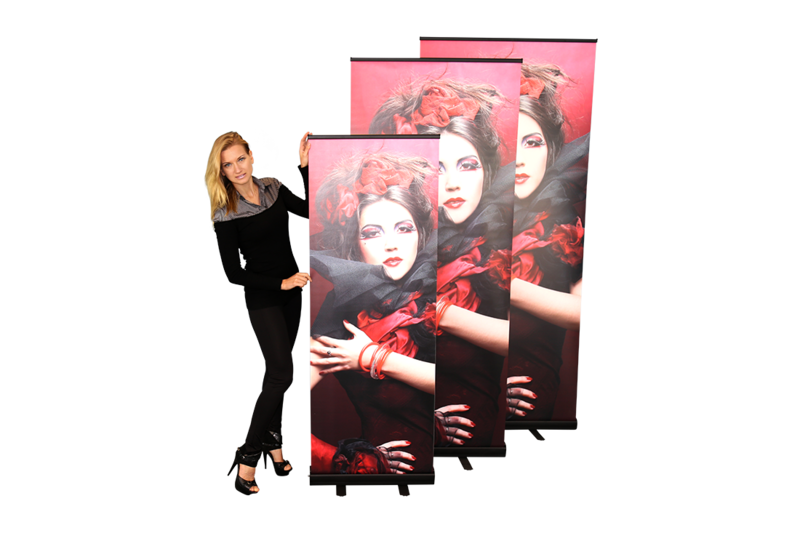 Vivad can print Coreflute signs from one to a thousand. Order online for fast turnaround times and quality printing. Choose your frame, enter the width and height, and then choose the maximum length to fit into your vehicle. Vivtrack 2 works out the number of cross braces, the configuration, the packing dimensions and freight cost. 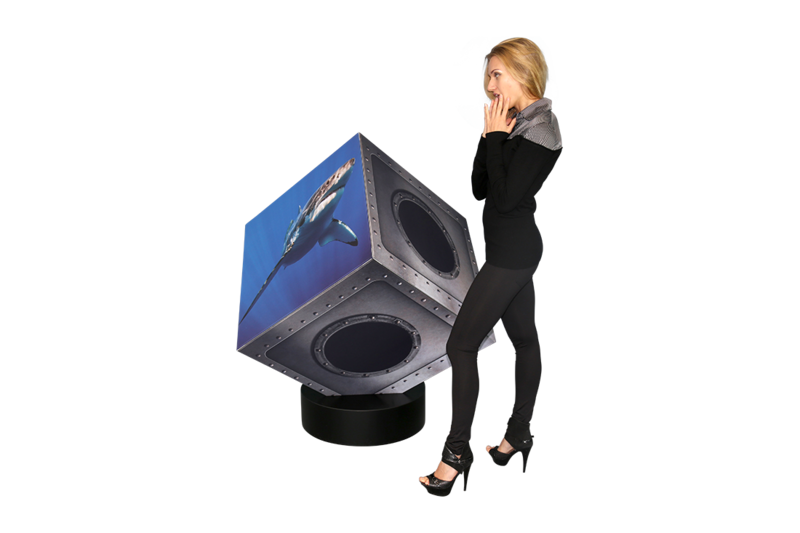 Add a standard, blockout or backlit graphic insert and you are done. Vivad manufacture stunning low profile, edge-lit lightboxes such as this 3.6m x 2.1m custom box which adjourns our showroom. With a depth of only 80 mm, our SS80 edge-lit lightbox gives excellent uniformity of light, and a sleek modern finish. Also available, is our DS100 double sided 100mm deep light box and our SS120, which is a 120mm box, configurable as either a single or double sided lightbox with edge or back lighting. Choose the system, choose the size and upload your artwork. Easy as 1 2 3... Budget, Standard or Premium systems available. A cube has 6 sides, 12 edges and 8 corners. You can construct your own square or rectangular cube by adding the lengths and corners as you require. Vivad has revolutionised large format outsourcing with our proprietary web-to-print solution. Vivtrack 2 allows you to get a price, upload and pre-flight your artwork, place your order and lock in your ETA and delivery method in one sitting. This twelve and half minute demonstration shows you how. 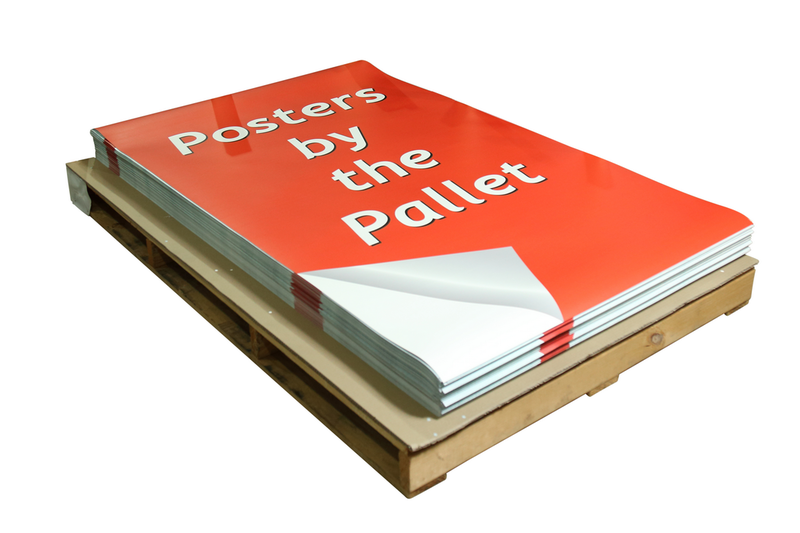 Yupo Posters 200GSM Synthetic Paper, digitally printed 600dpi UV cure, suitable for outdoors. 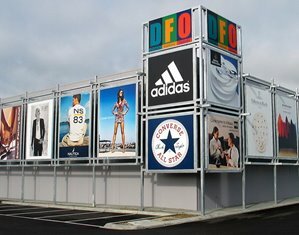 Single sided, Double sided, Free-Standing, Structural, Non-Structural, Light boxes, Cavity track, Evictor track. 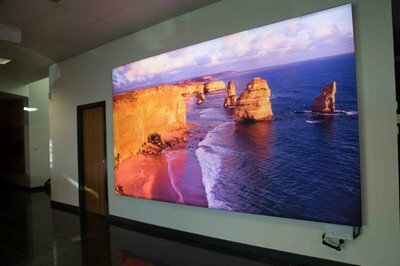 Vivad creates a 60 metre backlit wall using the Palisade 100 graphic walling system. Choose your print product and customise it to your needs. You have full control to specify the type, longevity, size and quantity. Upload and check that your files are in print ready. Vivtrack 2 identifies any low resolution elements and suggests the viewing distance required. Vivtrack 2 calculates the theoretical packing dimensions and weight of your print job , which ensures that you pay the most cost effective amount for your freight. Select from a range of freight options, including road and air based on your required ETA and the cost will automatically be calculated on the specific weights and volume of your job. Track the status of your order online through every stage of production. Subscribe to Vivacious news, Vivad's occasional newsletter to find out about some of the projects that we have participated in, as well as keep up to date with the latest products.